Real Estate and Moving from Bernie Christian on Vimeo. Highlands Mortgage Company is not affiliated with Keller Williams Realty Fort Worth - The Christian Group. With over 20 years’ experience in mortgage origination's, Phil Clark has become a true master of his craft. Having the unique ability to make future homeowners feel at ease and his vast knowledge of the business have been major factors in his success. Phil takes the time to explain each step of the process in depth while having a team behind him that strives to deliver an exceptional customer experience. 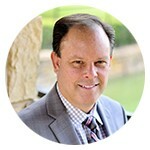 Joining Guild Mortgage in 2011, he has been able to use their “High Tech, High Touch” mentality to continue this axiom.